2019. What is really happening in the property market? This is what I said last year, and this is where we ended up. How did I do? 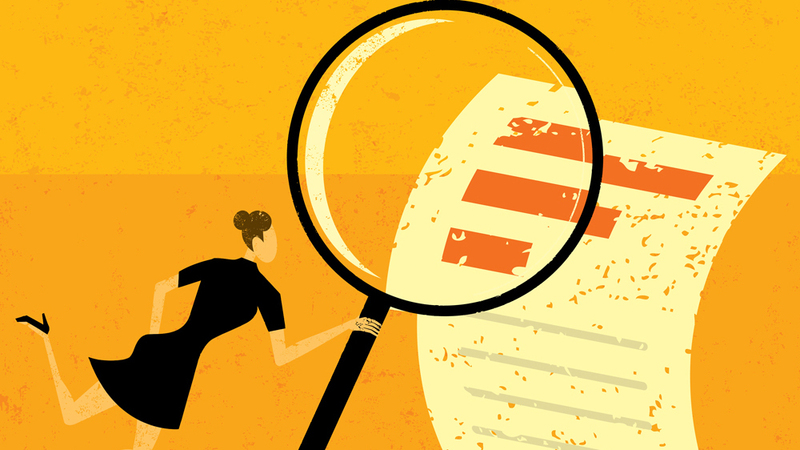 On the back of APRA restrictions through 2017, the year ended on a softer tone, and that’s likely to carry through into the start of 2018. On the broad aggregates, I wouldn’t be expecting a lot of sparkle this year. A year on, you’d have to think that was a pretty accurate prediction. Growth slowed steadily, and the market topped-out in the middle of the year. Capital values are not falling sharply, but by the end of the year, national prices were down about 7% from their most recent peak (Chart 1). 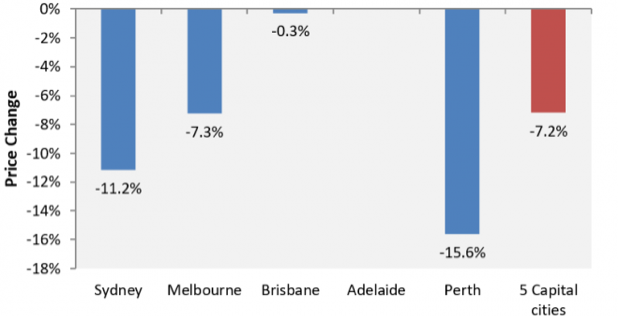 Sydney is driving the current downturn, where prices are now down 11%, however cities like Perth and Darwin continue to give up the gains they made in the mining boom. Outside the capitals, the regional centres are holding up much better (though they never saw the massive gains the big cities did), but while growth is still positive, it is slowing, and looks like peaking out soon (Chart 2). As I predicted, this is not a ‘sparkly’ market, but it’s not an ugly market either. Despite all the sensationalist media (60 Minutes, looking at you), this is a pretty ordinary cycle in the scheme of things. 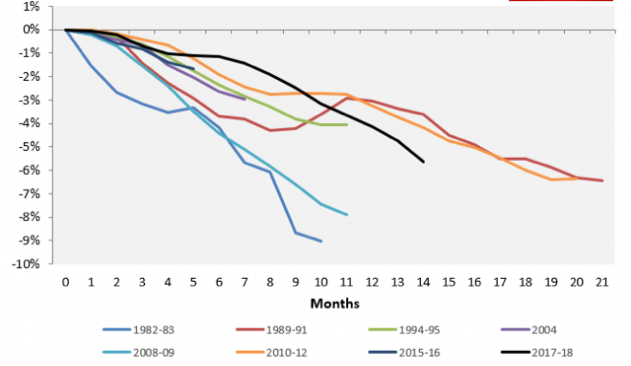 Chart 3 compares the current downturn to previous downturns. As you can see, so far the current consolidation phase is not particularly severe, either in terms of pace or duration. This is something that all investors need to remember – the market moves in cycles. It always has, it always does. After the strong boom in prices we saw over the last five years, particularly in Sydney and Melbourne, a consolidation was always going to be on the cards. In that context, the mild and orderly correction we see playing out shouldn’t come as a surprise or be all that much cause for concern. The other interesting thing about the current cycle is that so far declines have been concentrated in premium markets. In 2018, the most expensive 10% of properties saw price falls of around 8%. At the same time, the entire bottom half of the market was posting positive growth (Chart 4). Looking into 2019, I’d expect these trends to continue – cheaper segments will continue to outperform the premium markets, and regional centres will hold up better than the capitals. We have many students who are already capitalising on these trends. Cheapies, especially in rural areas, are enabling cash-strapped investors to get into the market and get going. But at the end of the day, there is money to be made in every market, and good money at that. So that’s the wrap on where we’re actually at. Next week, I give you an insight into where I think the market is going.